You type or import your text. 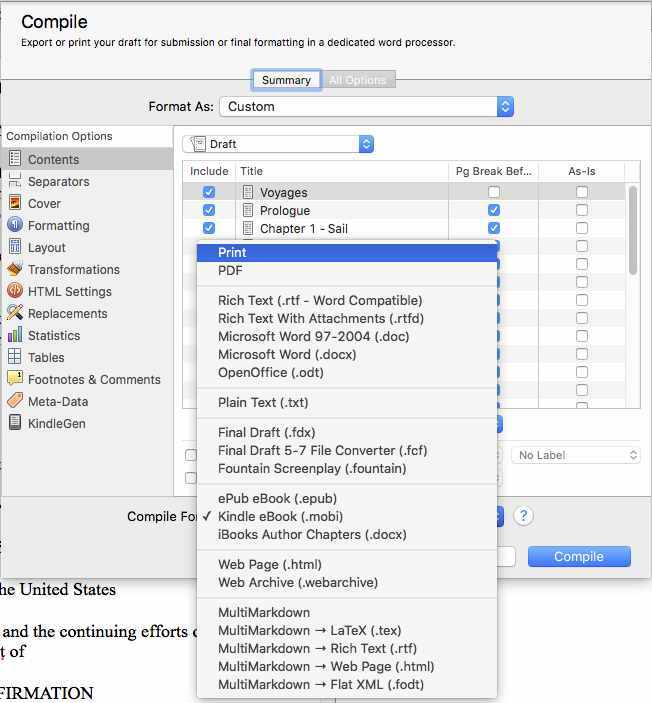 It can read a few formats such as .txt, .rtf, .doc, .docx, Pages, Open Office and, after you've separated into chapters, it can export any one of a number of formats to create a book. Its capabilities are far greater than anything I need or have tried. I mostly import books that I've written in MS Word, Pages or plain text and output for Kindle after editing. It has some neat features for compiling a book. It lets you drag images and text into a "Research" folder. You can set it to display a window containing "Research" on the right of your screen and a window with your Chapters on the left. Then it's a simple matter of dragging and dropping content into each chapter. See below its output (Save) screen. Below is a screenshot of the window layout that I use. 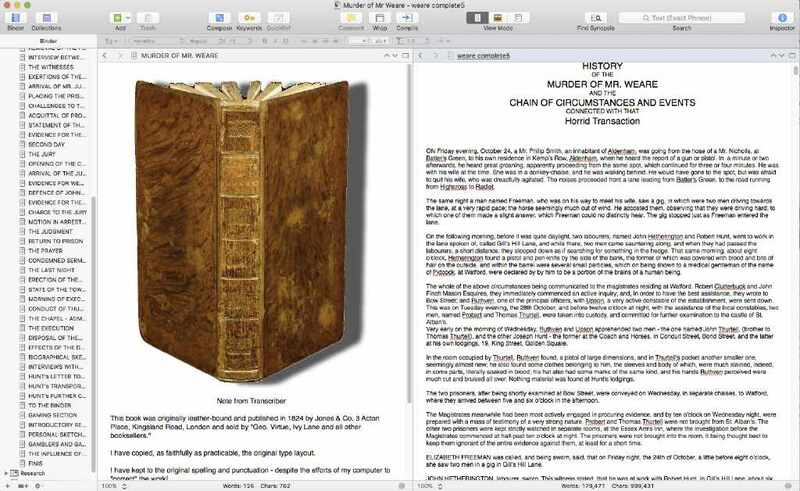 The left window contains the list of chapter headings with Research folder at the bottom. The middle window contains a view of the selected chapter that I"m currently working on. The right window contains the selected Research file that I'm copying from. Click on the image to see a full-screen version.